Every cloud should have one! Gorgeous cumulus clouds building above our house this early evening. Nikon D600, Nikon 24-120mm lens @ 58mm, ISO 100, f/13, 1/125″ exposure. I stopped by a local farm stand to buy some sweet corn. 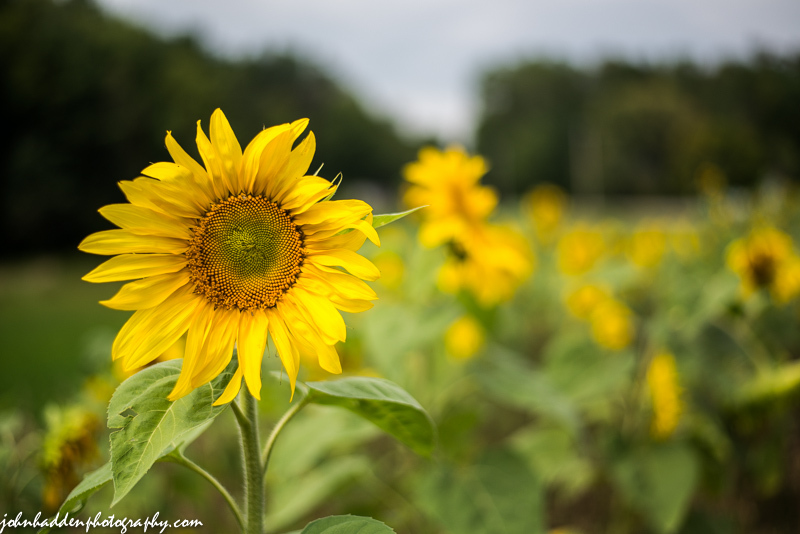 This row of sunflowers was growing between a harrowed field and the road. I spoke with Henry, the farmer, and he said that these were “volunteers” that had popped up on their own after he’d harrowed in the field this spring. 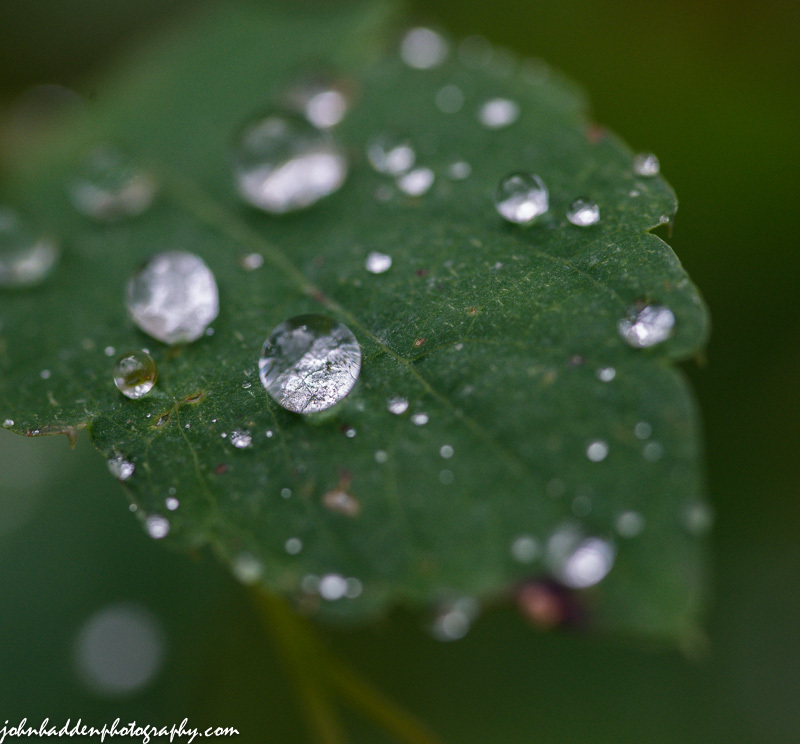 This photo really demonstrates a shallow depth of field with the focus being limited to a narrow band across the leaf and including the rain drop. And I didn’t even have the lens wide open! Nikon D600, Sigma 105mm lens, ISO 800, f/8, 1/800″ exposure. 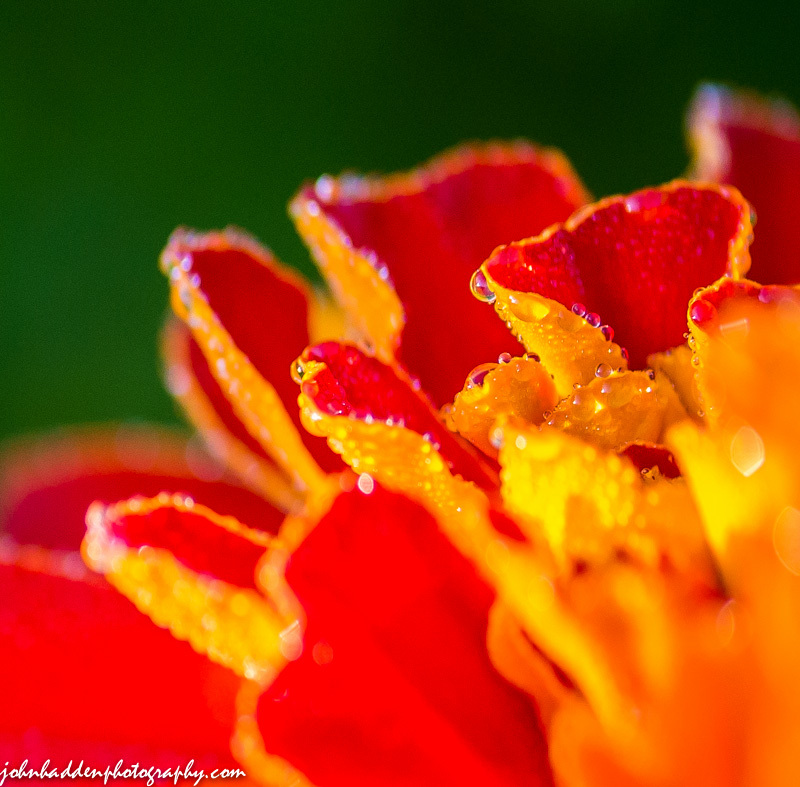 A close crop of a marigold blossom in one of our upper vegetable gardens. 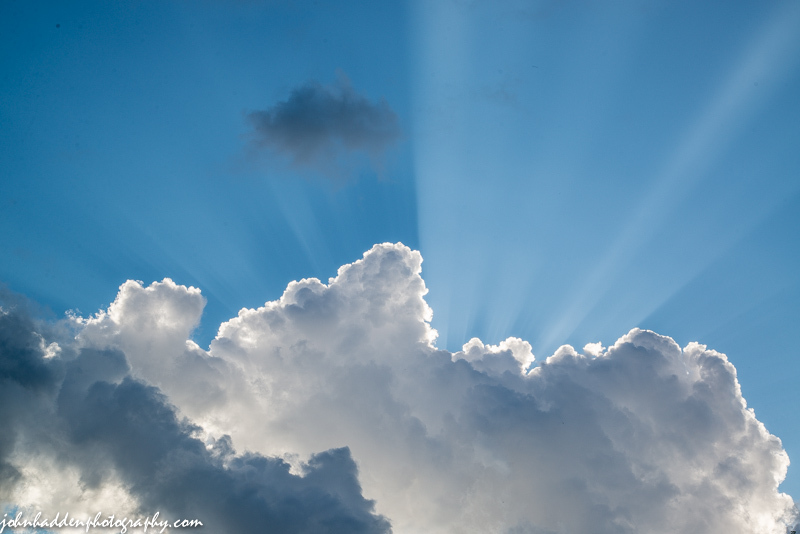 Nikon D600, Sigma 105mm lens, ISO 800, f/3.8, 1/800″ exposure. 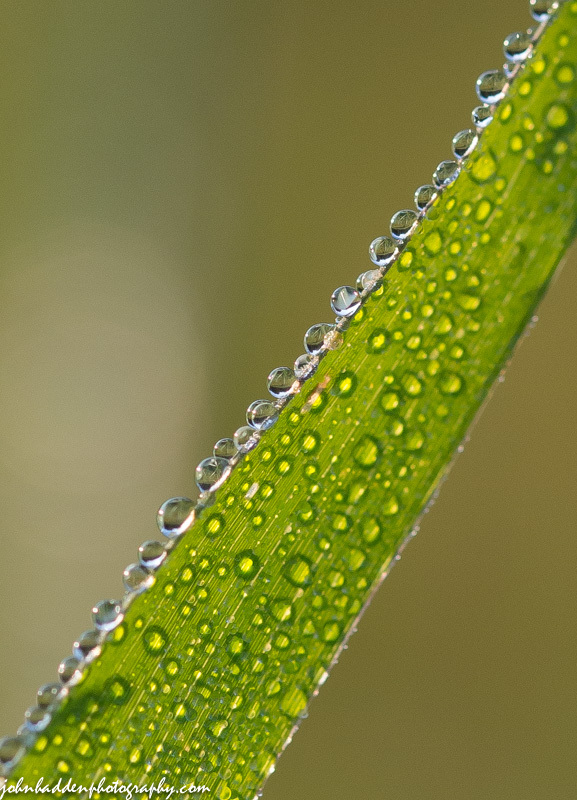 A line of dew drops reflect the the morning sunlight on this blade of grass out in our front field. Nikon D600, Sigma 105mm lens, ISO 800, f/6.3, 1/1600 second exposure. 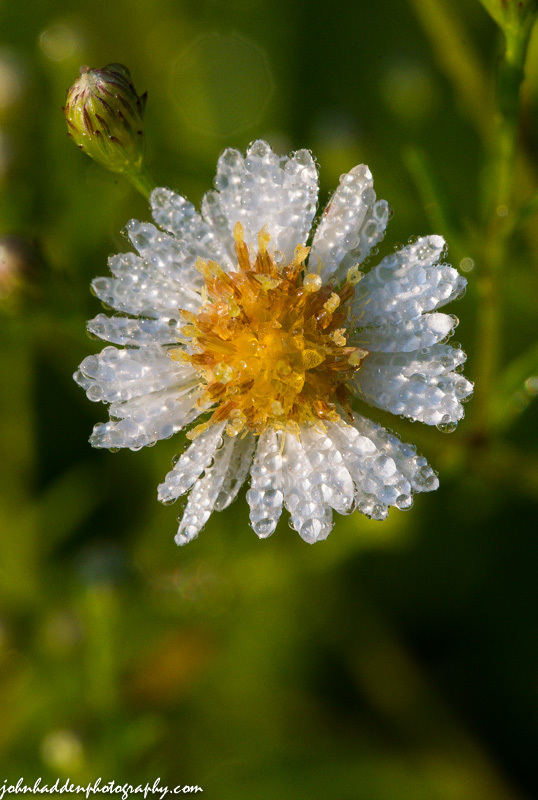 The morning dew was heavy today, and this daisy fleabane blossom seems to have every millimeter of its surface covered with it—almost as if it had gotten the Fabergé treatment! Nikon D600, Sigma 105mm lens, ISO 800, f/20, 1/250″ exposure. What’s the under the hat? 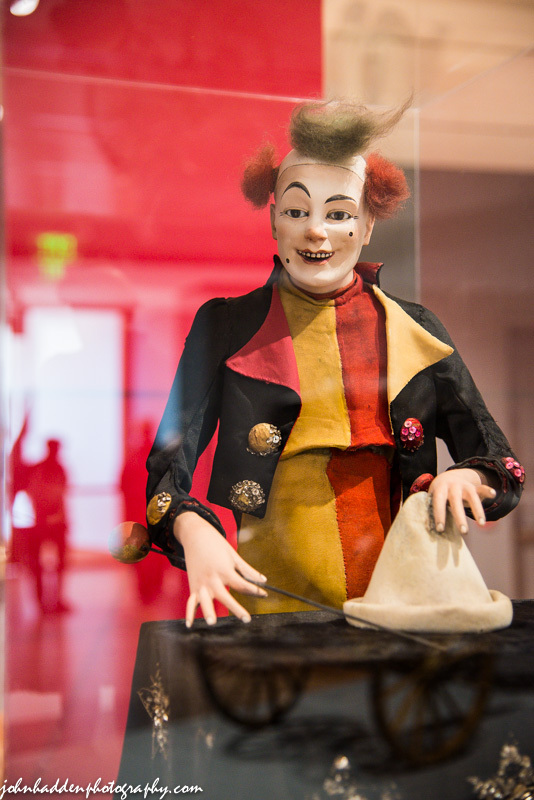 A somewhat creepy mechanical clown and reflections at the opening of the Pizzagalli Center at the Shelburne Museum in Shelburne, Vermont. Nikon D600, Nikon 24-120mm lens @ 58mm, ISO 2500, f/4, 1/25″ exposure. 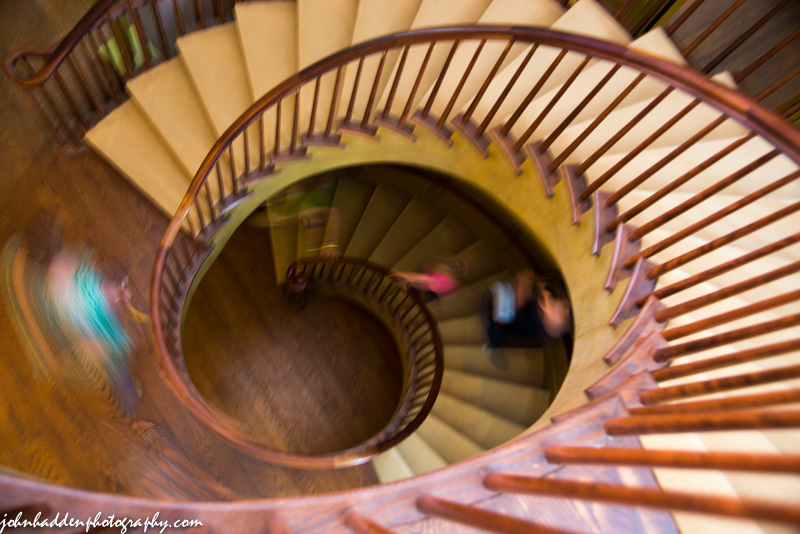 Visitors walk the spiral staircase at the Electra Havermeyer Webb memorial gallery at the Shelburne Museum in Shelburne, Vermont. 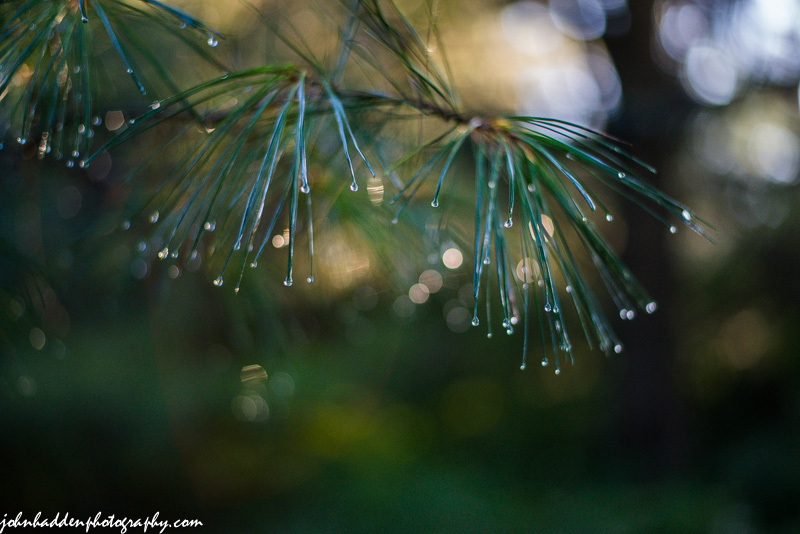 Raindrops sparkle on the tips of white pine needles after a morning rain. Nikon D600, Nikon 50mm lens, ISO 1250, f/1.8, 1/1250″ exposure.